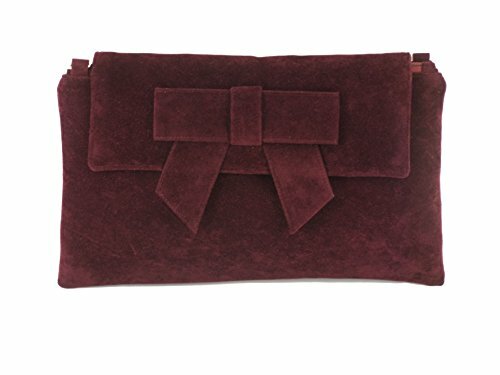 Gorgeous faux suede clutch bag with faux suede bow featureSize 27cm x 15cm x 2cm (medium)Supplied with detachable strapInside zip pocket, closure by magnetic lockGorgeous evening/occasion bag in smooth faux suede. Available in a choice of fab colours, all designed with shoe and outfit matching in mind. 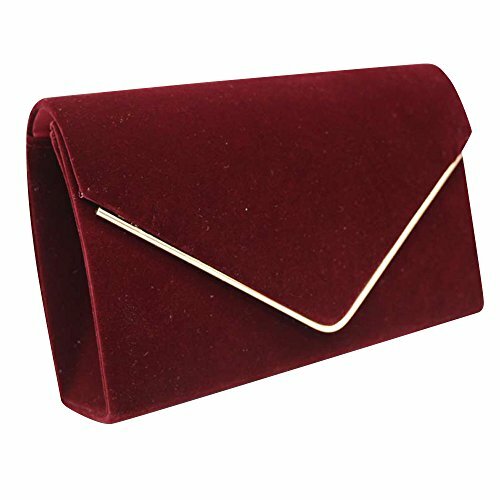 Suitable for all "going out" occasions - weddings, parties, proms, races etc.All of our bags are designed and made in the uk!If you are unsure of the colour or material - please request a FREE colour swatch for shoe matching etc. 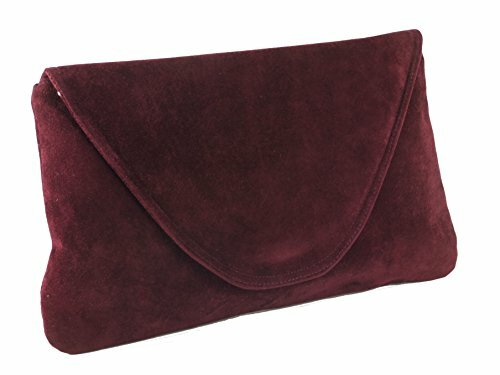 Elegant faux suede clutch bag/shoulder bag Size 27cm x 15cm x 2cm (medium) Supplied with detachable strap Inside zip pocket, closure by magnetic lock All of our bags are designed and made in the uk! If you are unsure of the colour or material - please request a FREE colour swatch for shoe matching etc. The swatch we send will be the same as the actual material used to make the bag. 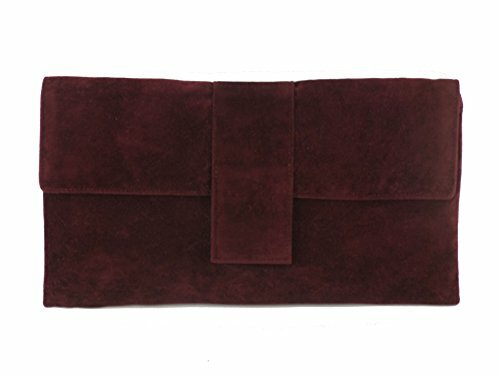 Gorgeous Large size faux suede clutch bag Size 34cm x 18cm x 3cm Supplied with detachable strap 77cm in length Inside zip pocket Closure by magnetic lock All of our bags are designed and made in the uk! If you are unsure of the colour or material - please request a FREE colour swatch for shoe matching etc. The swatch we send will be the same as the actual material used to make the bag. Please note: Swatches are posted every TUESDAY and FRIDAY. 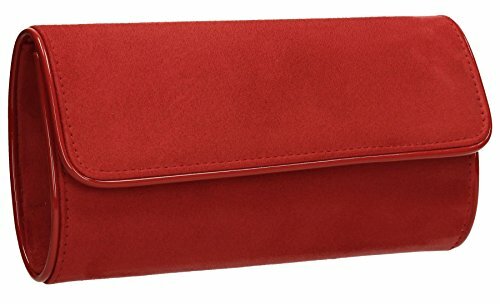 Size: 26 x 13 x 5.5 cm Approx, measured end to end at widest points Closure: Flapover with button snap Features: Chain strap, patent leather detail Main Material: Faux Suede Can fit an iPhone 7 size phone A classic style which is ever beautiful Match this beautiful clutch from SwankySwans with your favourite outfit This amazing clutch is bang on trend show stopper and will get you lots of lovely compliments. A great clutch bag style at an amazing offer, this is the perfect bag for parties or wedding or just a night out. Suitable for Wedding, Prom, Party and Evening occasions. Buy with confidence from SWANKYSWANS, a trusted British Brand. imensions: 25 x 15 x 6 cm , comes with a detachable shoulder chain strap. 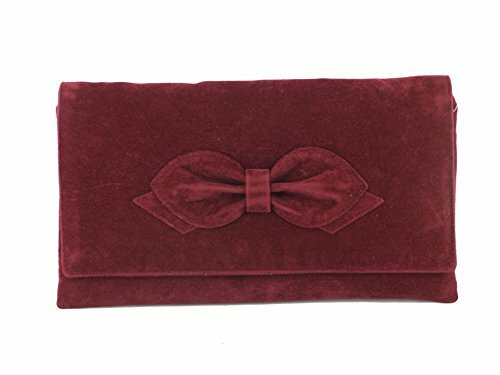 Outer Material: Synthetic Inner Material: Manmade Material Composition: Synthetic Suede Perfect in suede velvet material, available in many shades Fully lined inside with a small pocket. 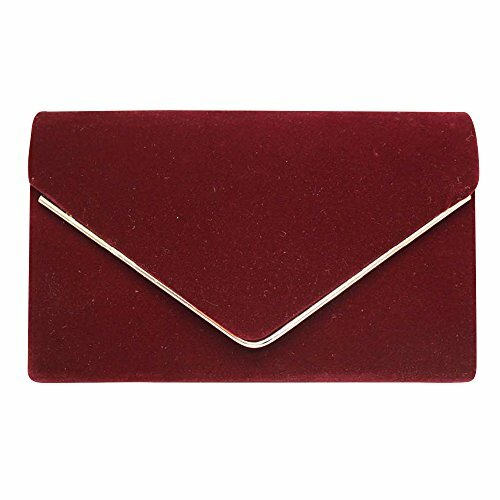 add a touch of elegance to your outfit with this beautiful clutch bag. The bag is so roomy that it is large enough for your mobile phone ,cash ,cards ,lipstick,jewels and other important items. 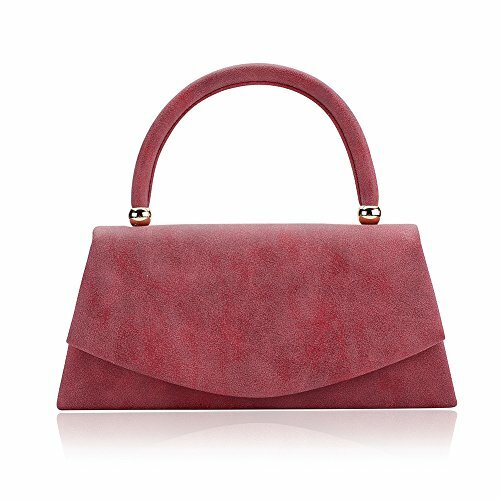 The bag is so royal, noble and brilliant that it will be a perfect status symbol and a bold gift for femininity. Suitable for wedding party, family reunion, prom, banquet and cocktail party and so on. Features: 100% brand new and high quality! Material: Outer: 100%pu Inter:100% polyester Dimension: 9.5 in (L) X 2.2 in (W) X 4.5 in (H). Handle Drop: 3 inch Detachable strap: 22inch Description: This dinner bag is a great design, combined with a stylish and noble, great for fancy events,evening out,birthday party and weddings . Fabric lining. Magnetic-flap closure. Interior wall pocket. Inside can easily fit a cell phone, wallet, compact mirror, lip gloss, and a pack of gum. Conveniently, you can spend the night hands free with the detachable silver chain that is included. Note: Due to the difference between different monitors, the picture may not reflect the actual color of the item. We guarantee the style is the same as shown in the pictures. Thank you! Whats in my Burgundy Suede Bag! 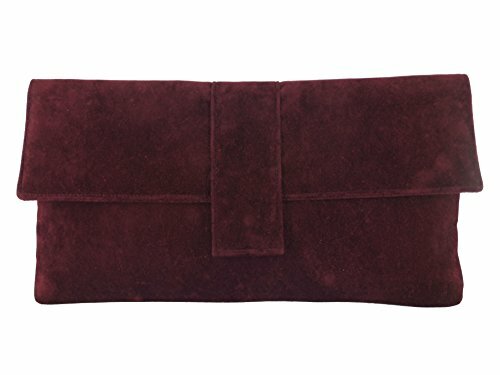 Compare prices on Burgundy Suede Clutch at ShoppinGent.com – use promo codes and coupons for best offers and deals. Start smart buying with ShoppinGent.com right now and choose your golden price on every purchase.